Hit the fairway this spring with the latest in golfing attire and clubs. Before the golfing season truly gets underway, visit New York Golf Center where you can select new golf clubs, equipment, golf apparel, and accessories, all under one roof. 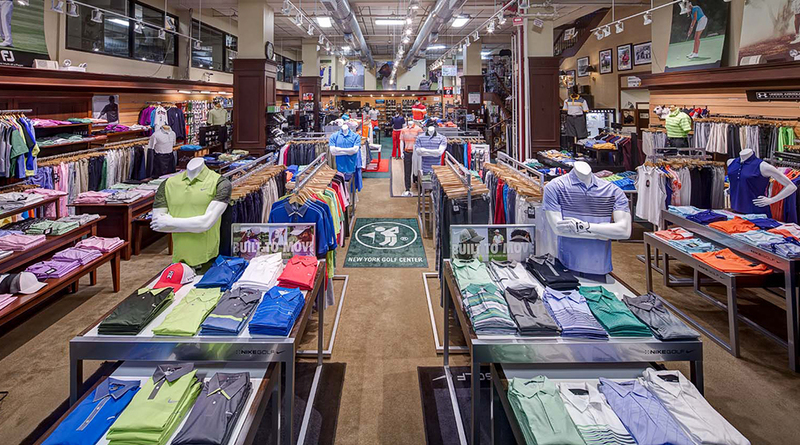 With unmatched selection anywhere in NYC, New York Golf Center offers only the finest, professional brands on the market, including TaylorMade, Callaway, Titleist, Cleveland Golf, Cobra, FootJoy, Galvin Green, PXG, Mizuno and more. Before getting into the swing of things this spring, visit New York Golf Center. Their knowledgeable staff of golf enthusiasts will know exactly how to assist you with all your golfing needs. Stock up on new clubs or repair your old ones with their expert golf club re-gripping. Shop for brand new golf shoes or a roomy golf bag to carry all of your new clubs. Looking for that special driver, iron, putter, fairway wood, or hybrid club? New York Golf Center offers a large selection of clubs and you can try them out at this award-winning golf store anytime. While you're shopping, schedule a custom golf club fitting, which is conducted on a state-of-the-art Trackman Launch Monitor. Our fitters have been selected by Golf Digest, Ping and Mizuno as a Top 100 Fitting center so hit the greens knowing you have the ultimate set of golf clubs custom-made to work with your stature and swing style. Whether this is your first set of golf clubs or you’re adding to your current set, New York Golf Center is your best choice for premier equipment with a personal touch. The expert professional staff at New York Golf Center enjoy playing the game as much as you do, so trust them for the finest equipment and accessories you need to play your best game. Stop by one of their locations before the season gets into swing or check online for great deals and more. For more details, call their Grand Central store at (212) 564-0078, Herald Square at (212) 564-2255, or Chelsea Piers at (212) 242-8899.